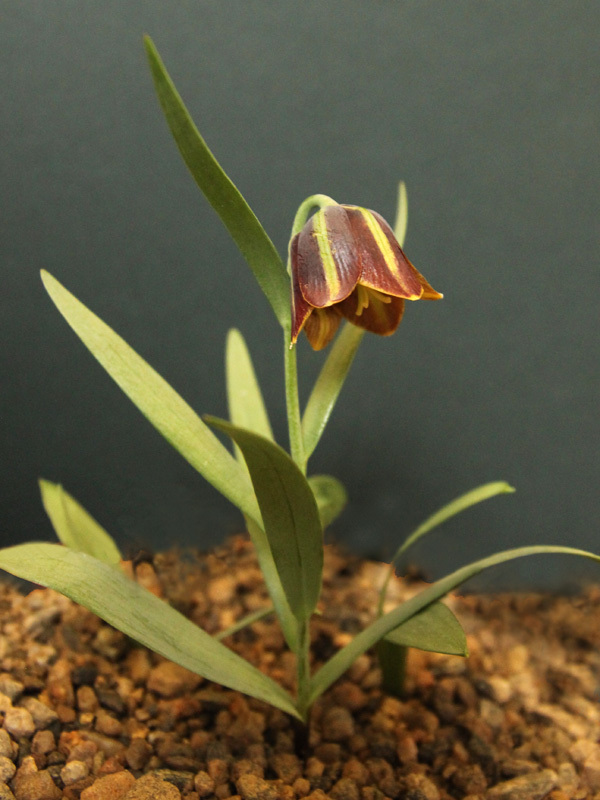 Fritillaria graeca graeca is found growing in the wild in the Balkan states of the eastern Mediterranean. The plant which I have was grown was from seed supplied by Jim and Jenny Archibald. The seed was sown in January 2003 and germinated a year later. Another 6 years passed before it flowered, sometimes this seed growing lark takes time and patience before any reward! 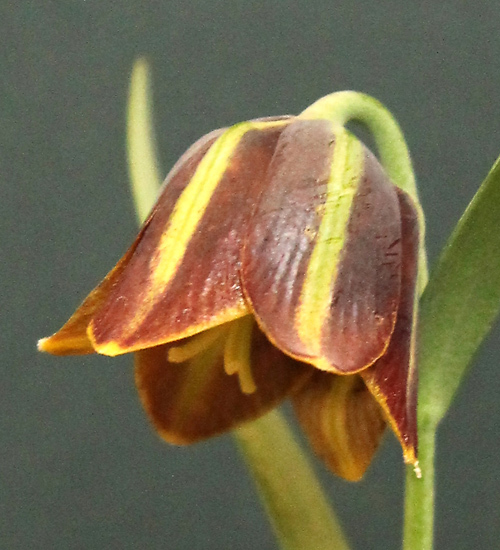 The flowers are maroon with greenish stripes, growing to about 15 cm. tall, flowering in March /April. As it does not like too much moisture I grow my graeca graeca under glass in a 50/50 mixture of John Innes no. 3 and horticultural grit. It can be increased by offsets or seed which is usually available from either the AGS or SRGC seed exchanges. This small plant has given much pleasure in the achievement of flowering it from a small seed and it would be great to see it in its natural habitat - maybe someday! !